This book provides an introductory text for students taking courses in recent criminal justice history. Chapters cover the key issues central to an understanding of the historical background to the current criminal justice system, covering the crime of murder, the emergence, establishment and development of the police, crime and criminals, criminals and victims, the courts and punishment, women and children, and surveillance and the workplace. 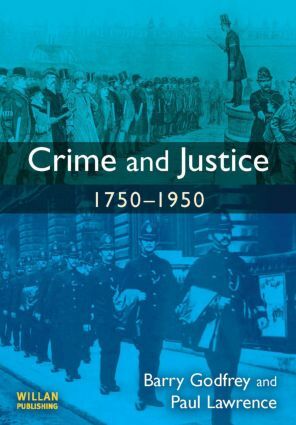 In addressing each of these issues and developments the authors explore a range of historiographical and criminological debates that have arisen, looking at the ways in which the disciplines of criminology and history are converging, and offering new perspectives on both modern and historical.